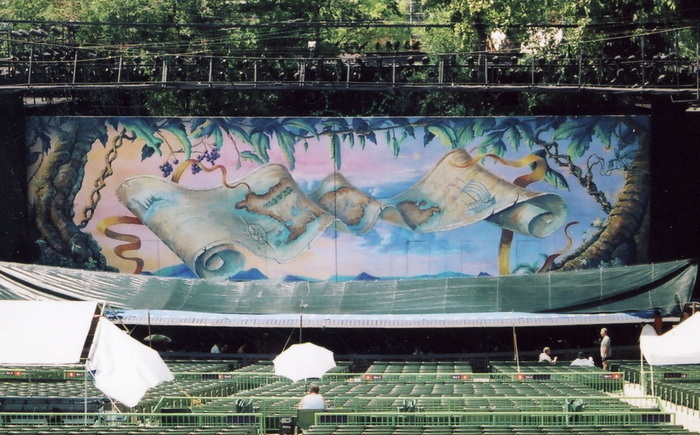 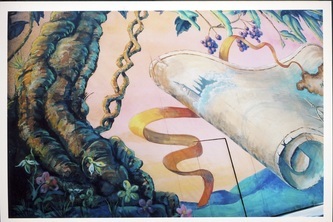 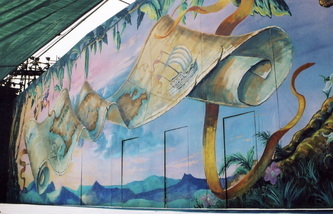 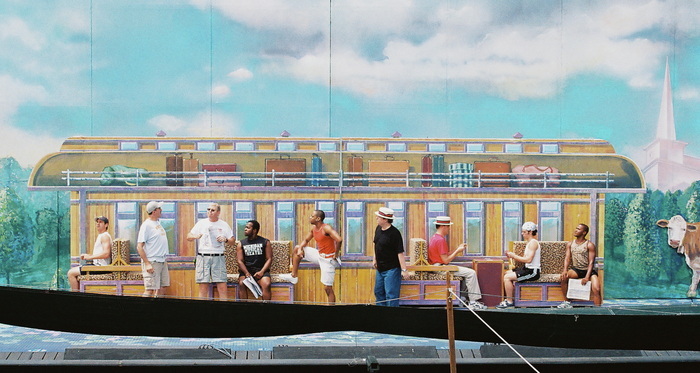 Scenic painting is collaborative. 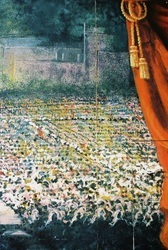 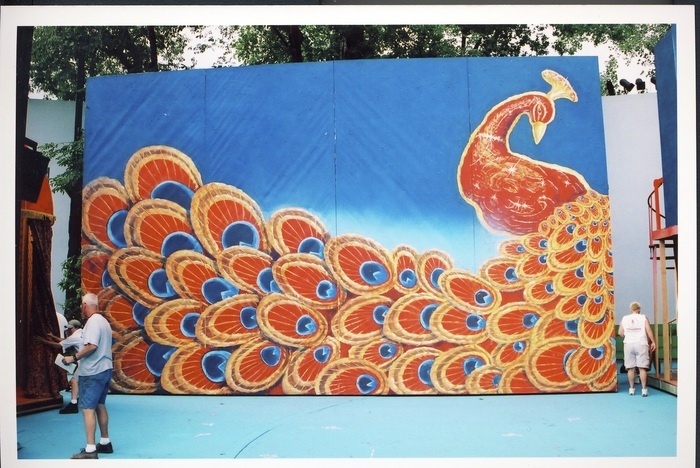 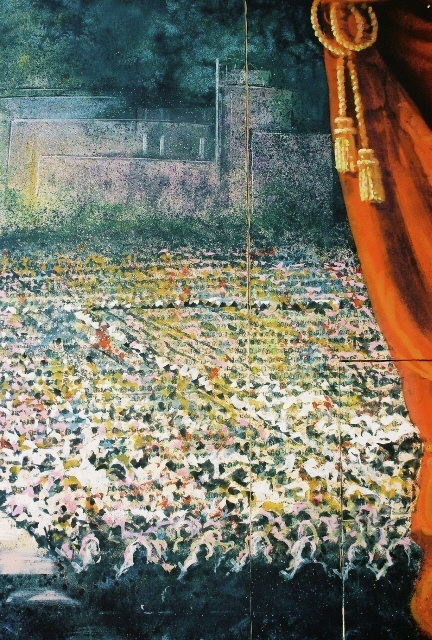 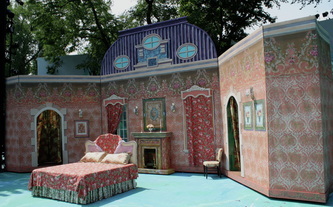 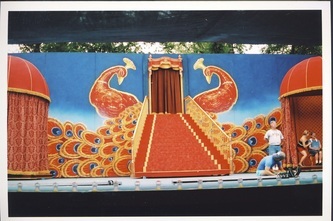 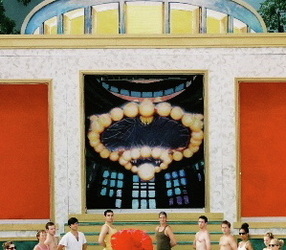 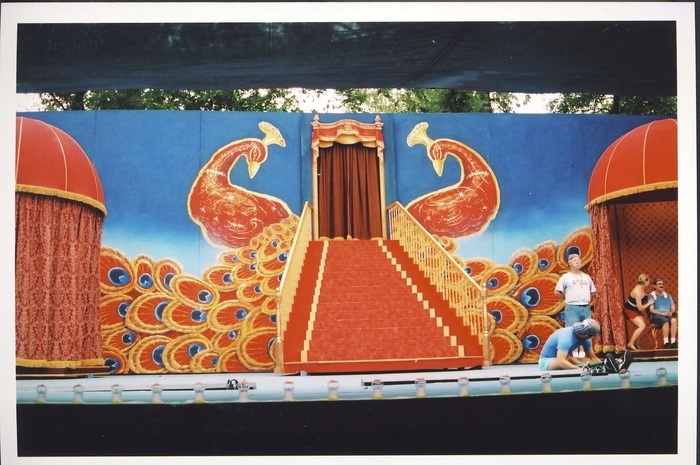 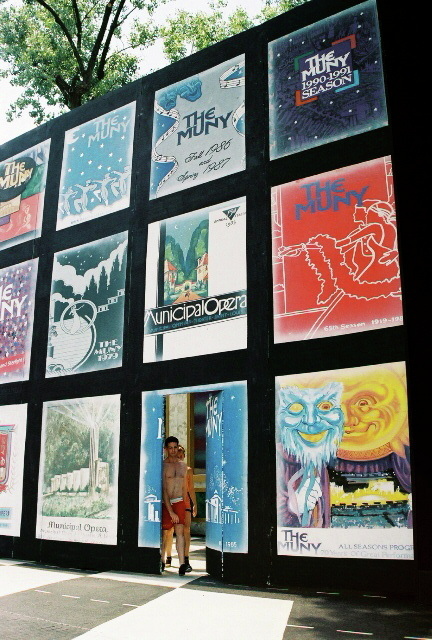 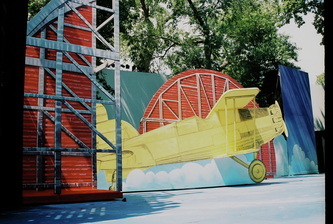 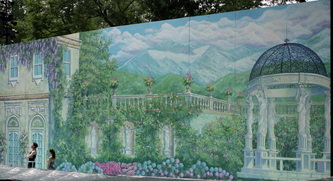 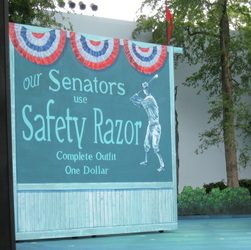 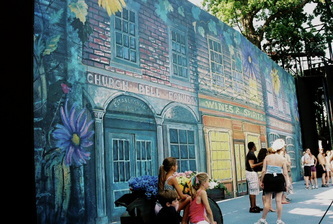 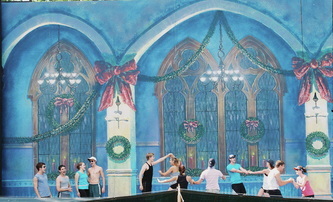 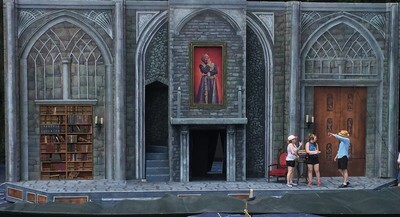 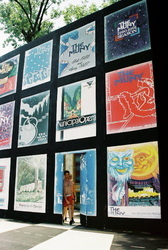 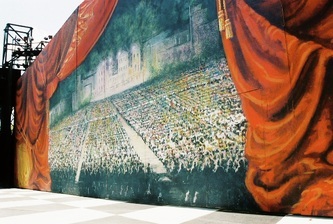 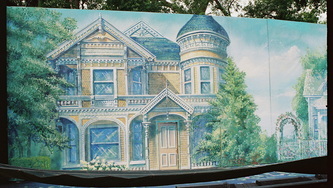 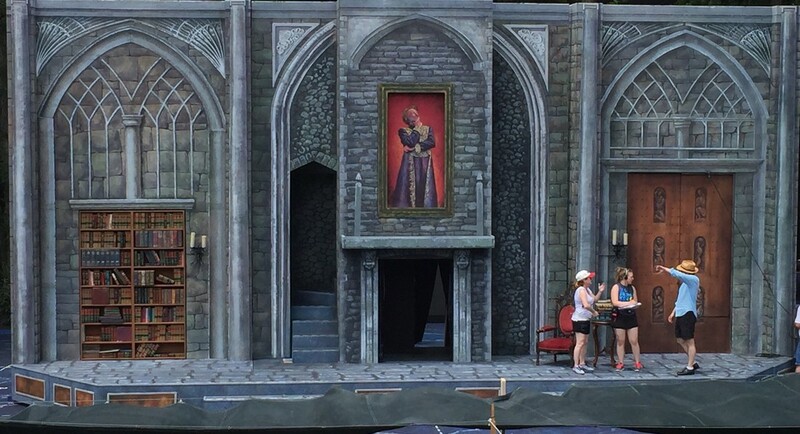 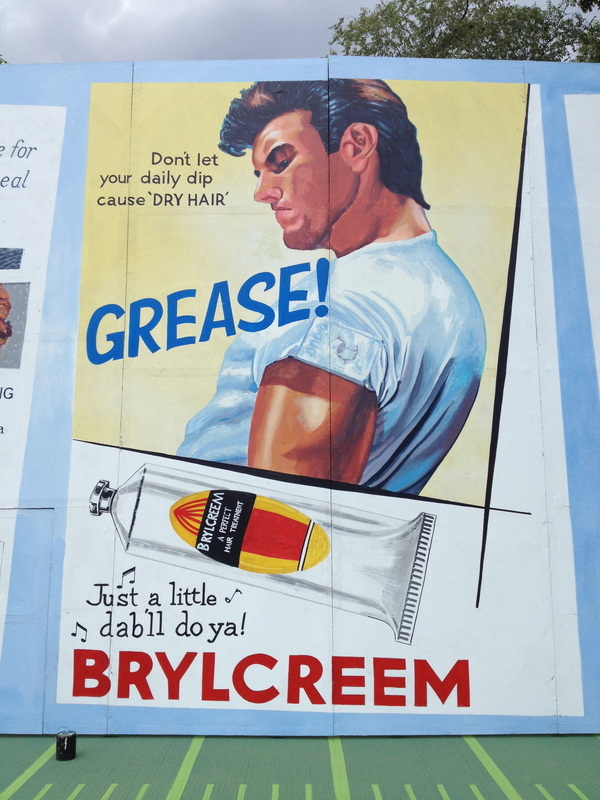 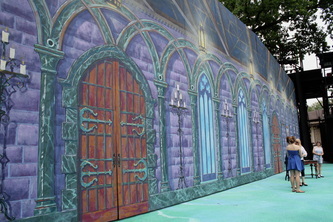 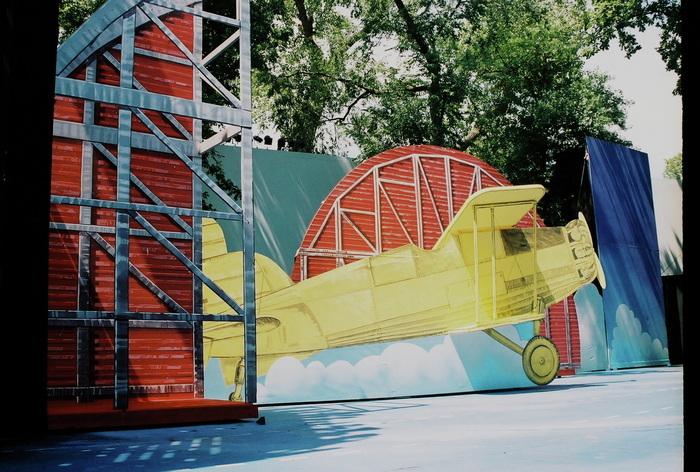 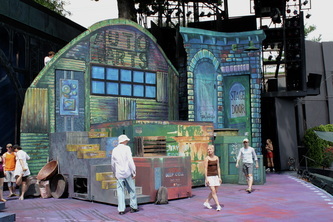 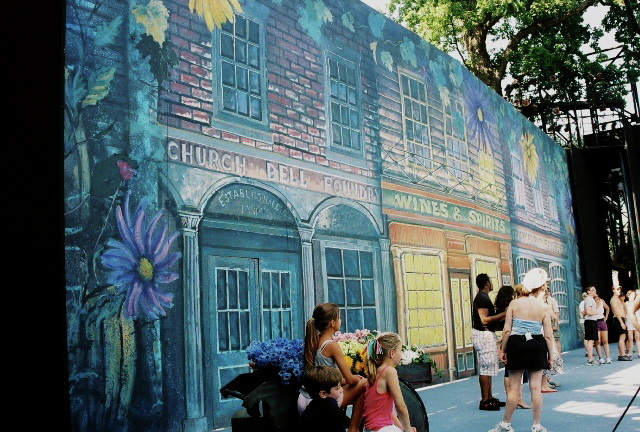 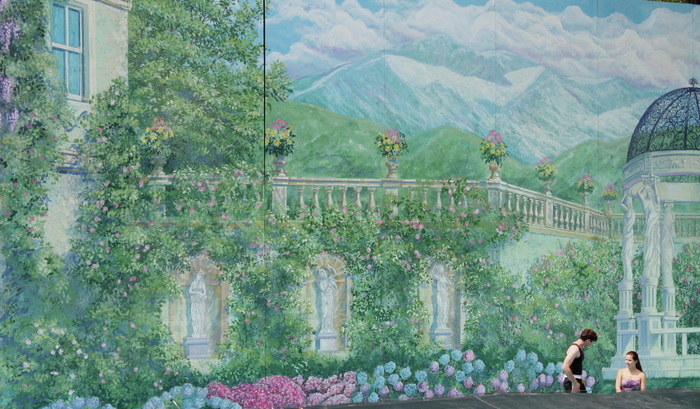 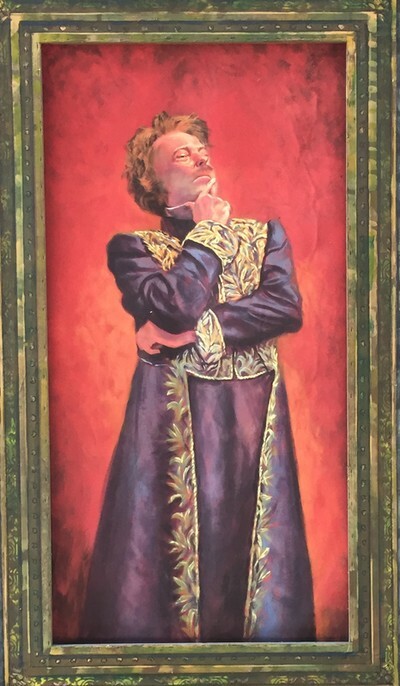 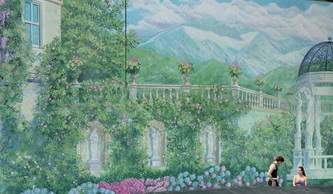 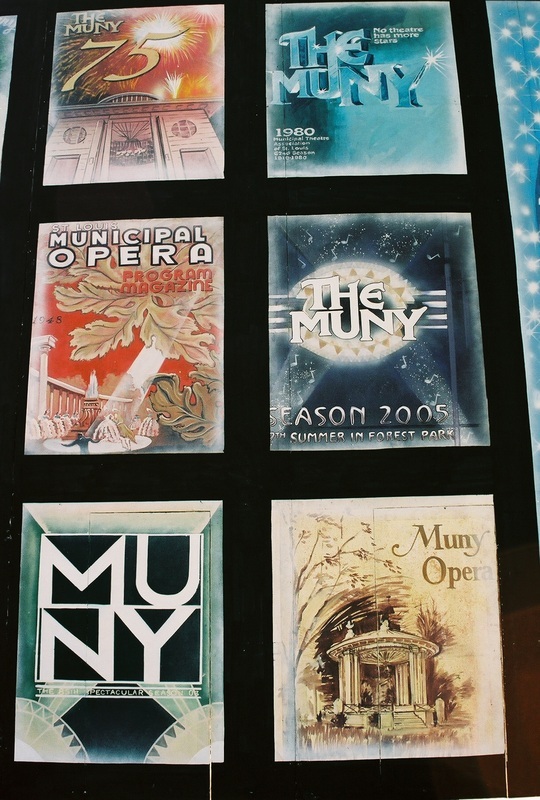 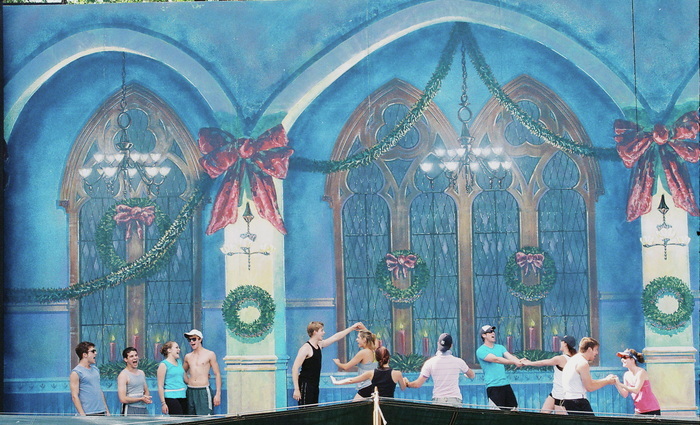 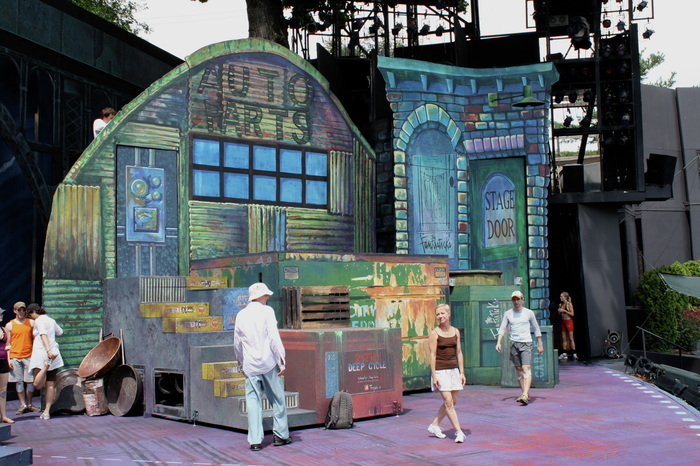 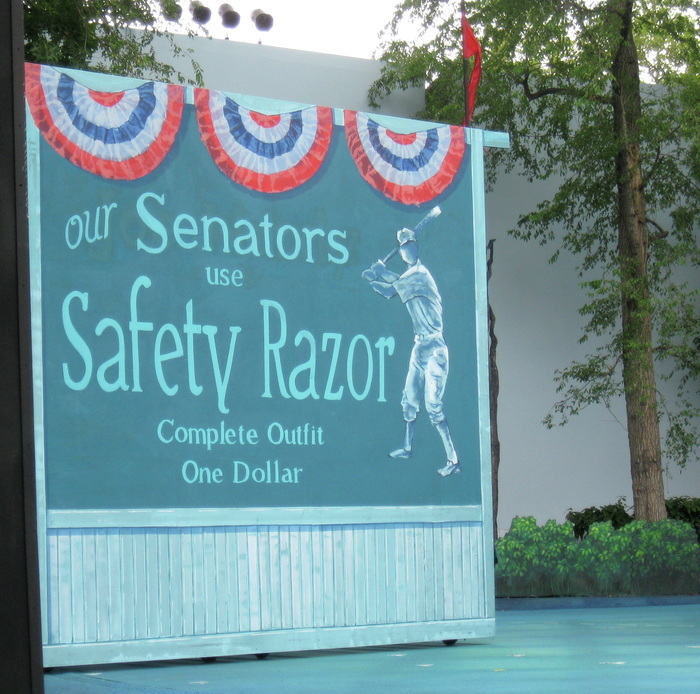 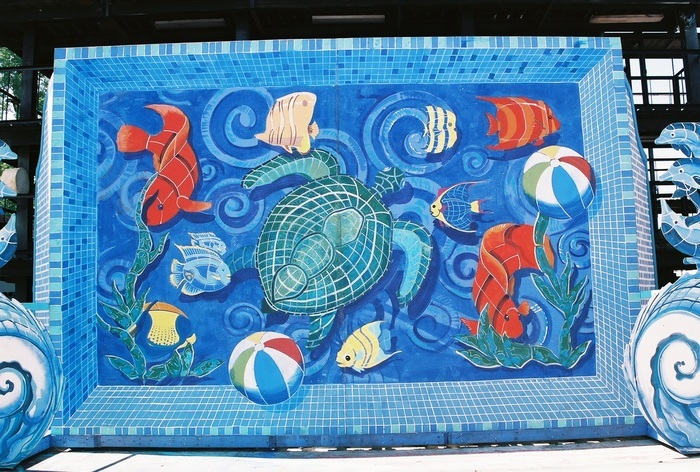 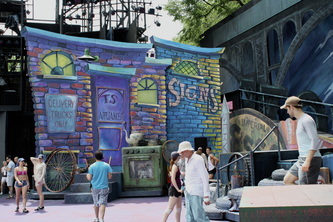 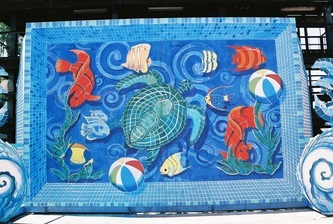 At the Municipal Theatre of St. Louis, the MUNY, John Troy is one on a team of a dozen scenic artists. 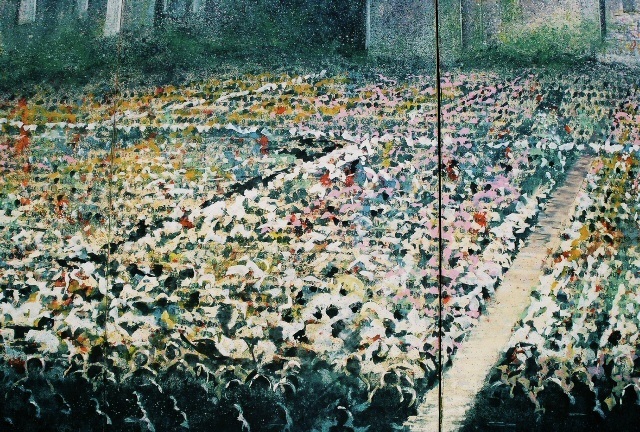 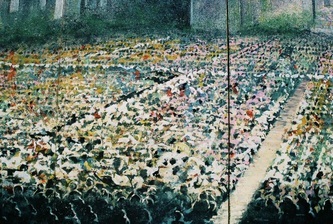 In the examples below, from two to eight painters share equal credit.